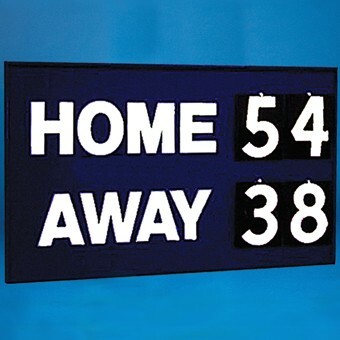 A neat framed timber scoreboard with 228mm x 305mm telegraph numbers to score up to 99 for Home and Away totals. Supplied in navy with white lettering as standard to read Home and Away, but can be customised to suit school, club or college colours. Optional extra: Galvanised steel legs and sockets can be purchased for the scoreboard to be fitted to.